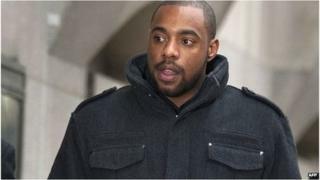 Banned cricketer Mervyn Westfield, jailed for spot-fixing, has pledged to help fight corruption in the game. The 25-year-old served eight weeks for taking a corrupt payment for a match in 2009, between Essex and Durham. The Old Bailey last year heard the Essex bowler was paid £6,000 after agreeing to bowl an over to let Durham score a set number of runs. Westfield said he now wants to educate young cricketers not to repeat his mistakes. Westfield said: "I'm sorry for what I've done.
" I just want to put it right now and help identify the clear dangers that exist. "Cricket has been my life since I was six and it's all that I know, what I love and what I live for. I have missed playing so much. ''I hope people can forgive my actions and maybe even find it in themselves to understand how difficult I've found it to cope with every step of this affair. "I will now do all I can to help the Professional Cricketers' Association (PCA) and others to educate cricketers, especially young ones, to ensure nobody else has to go through what I have." He says he will be working with the PCA in creating tutorials, attending pre-season meetings and the annual mandatory Rookie Camp. Westfield is banned from first-class cricket until 2017. Jason Ratcliffe, PCA assistant chief executive, said, "[Westfield's] personal insight will now complement our existing anti-corruption tutorials and be one of the most powerful tools we have in the fight against corruption within cricket."